Flamingo Land offers family fun all year round. What could be better than a theme park, zoo and holiday resort all rolled into one! You can pick up day trip and holidays at the cheapest prices, and even more so with the help of Flamingo Land deal! Bring a smile on a child's face! Located in North Yorkshire in the UK, Flamingo Land is a popular destination for people of all ages, as it has something to entertain everyone! The resort was founded in 1959, so has had years of experience of how to make the best entertainment at the best possible prices. The name Flamingo Land came from the fact that a huge flock of flamingos were one of the first animals to find a home in the resort. At first the park was just a zoo, and became home to some of the UK’s first bottle nose dolphins in captivity, but in the 1970’s amusement rides started to make an appearance, therefor becoming one of the first sites in Europe to combine both a zoo and a theme park in one! When the park started to become a nation attraction as well as just a local one, the need for accommodation occurred, therefore the Holiday village opened, complete with log cabin, a leisure center, swimming pool and café. Flamingo Land is now one of the biggest tourist destinations in the UK, and does not show any signs of stopping growth. Providing its customers with Flamingo Land offers and discounts all year round, the customers just keep on coming. You can check out all of what the park offers on their online website, from the animals, the rides, accommodation, food and the best holiday deals. A trip to Flamingo land can also make a great present for a loved one, so make the use of Flamingo Land deal to treat that special someone with a great day out. 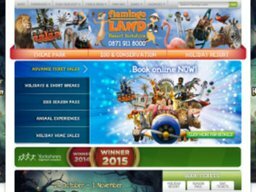 If you are a big fan of Flamingo Land, or live nearby, and know that you will be visiting the attraction regularly, then it is definitely worth purchasing a Flamingo Land season pass, which could allow you to save hundreds of pounds. You can buy individual passes, or if you want to save even more money collectively, then by a season pass as a family, so you will be able to enjoy unlimited fun on all the attractions from March to November, and in the Winter zoo all year round. Flamingo Land have over 14 eateries and bars on site, so you will not be stuck for choice when it comes to choosing where you want to eat. However if the choice is too hard, then maybe some Flamingo Land food vouchers will make the decision a little easier for you. You can choose from grabbing a delicious burger from Jungle Joe’s food court, The Mansion House and Tea for a more refined dining experience or Picnic Planet for all fresco dining and many more! Sometimes these discounts are only available during certain times of the year, or during certain events or certain days of the week, so make sure that you check out all the details of the deal before you make any purchases using them. It is definitely worth doing a little bit of research first, as if you are going with a whole family, you could end up saving a lot of money in the process. The whole of Flamingo Land is open between the months of March and November every year, but the winter zoo is open all year round. The theme park opens its doors at 9.30, giving you a chance to grab a quick coffee before the attractions open at 10.00. The closing times of the park depends on the seasons, but usually it is between 14.00 and 18.00, so be sure to check on the website before your visit. As well as buying your tickets at the door of this great attraction, you also have the option of booking your ticket online for a discounted price, especially if you are booking in advance. Once you have purchased the ticket online, with the help of a Flamingo Land deal if you have one, all you have to do is print it off at home which will allow you to proceed straight to the arrivals area on entry to the park. So not only will you save money, but you will also beat the queues when you get there. 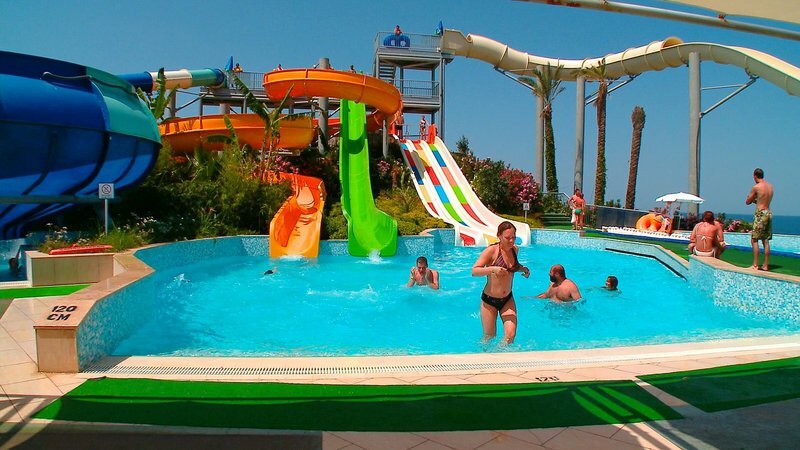 The resort strives to have as many of its attractions and rides open every single day, however sometimes this is not always possible due to factors such as repairs and the weather, therefore it retains the right to close attractions or parts of the park without and prior notice or refund. Therefore, unfortunately admission tickets are non- exchangeable, non-refundable, so just hope that the weather is on your side! As an alternative to Flamingo Land, you can visit Zooplus.